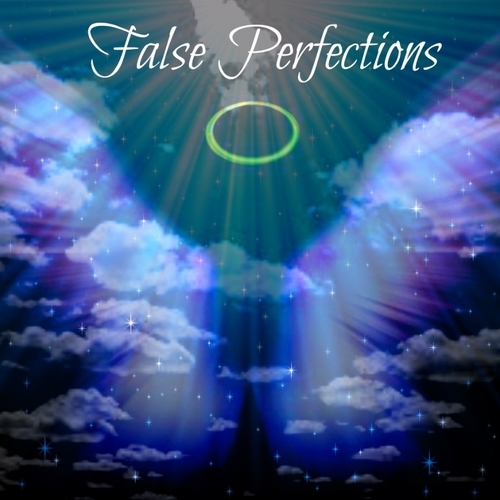 False Perfections is an Original Fictional Mystery/Drama following a teen boy who has awoken in Purgatory. He must regain his memory in order to move onto the afterlife. However, he can only regain these memories by watching them unfold in front of him. With the guidance of his Guardian Angel, will the child ever recover what he lost, and go to where he belongs? This project will be adapting the story in a unique format on YouTube by combining still images and animation. The 30 Chapters already created will serve as a 3 Act Structure to produce a full story worth of content. The total run time should be a few hours (Probably 3-4) Which will be divided up into 13 Episodes (Season 1). Season 2 is not currently under any development. This project began as a Demo on a Visual Novel creator website called Cloud Novel. The Demo, along with the songs and assets used in the demo are still there. If you would like to see it for yourself, just follow this link: https://cloudnovel.net/sweetdude64/novel/false-perfection . Since then, I have been taking several courses and have studied passionately many different aspects about writing. After tweaking the world building, polishing the characters, and changing the tone to a slower paced - more serious adaption, I am confident with re-brandishing this story. Recently, I have posted 30 Chapters (and ongoing) worth of material onto a storytelling app called StoryFire under the Alias 'Perfect Being'. The script used for this project will mostly be brought over to be re-used, rather than the script within the Demo found on Cloud Novel. Several years later now, I am branching out from Cloud Novel. I would like to post False Perfections as an episodic series to YouTube. It will be using many of the assets and OST's that were used in the Demo. (Many assets have been tweaked to perfection, what you see is not the final product..) Think of it like an animation. 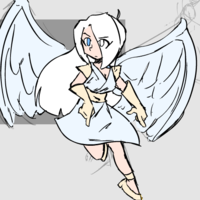 The Angel has a job to do, and will stop at nothing in order to complete her job. She cares very deeply for the protagonist. 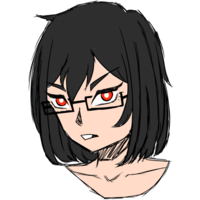 She is a good mix of a caring individual who can manipulate anyone using a soothing realization. She isn't afraid to do or say anything if it means advancing her own agenda. Think of it as a blend between Kushina from Naruto, and Rize from Tokyo Ghoul. Note: Contains a LOT of lines. This is also a complex character. You really are a good boy. But you can't save them now. They're merely dust in the wind. You did what had to be done. Sacrificing a life that is already gone is NOT wrong. You must understand... They were too far gone. You know you really can't save them, right? So... Just how much do you remember? This woman is sinister. She was created for one soul purpose - however over time, she has developed her own feeling using her free will. Now, she has a secret agenda to stop the protagonist. Since she is clearly capable of doing so, she might as well have fun toying with her prey... She deserves to enjoy it, after all this time. Don't trust anybody. I taught you that. Can't you feel our love? Our broken hearts? The Hearts you took away? This is Love. You know that better than anyone. All mighty! Probably going to use a lot of sound engineering. Are you ready to retrieve the vessel? Sinister/Demonic sounding. Probably going to use a lot of sound engineering. Are You Ready To See The Truth....? The ability to produce high quality animation. Will provide art/tools to use. 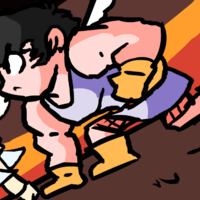 Must provide decent quality virtual assets of various characters/sprites. Son of the MC. Very few lines. Knock it off, will ya? Ohhhhhh I could never stay mad at you... Come here champ! Married to man. Very few lines. That won't work on me! The Main Character, but as a wise elder. Wife to the Old Man, she doesn't remember much.. But don't underestimate her. She is smarter than you think! (From a distance) Have you tried turning it off and back on again? A 'Nature-Document' type of role. Doesn't have many lines. No emotion necessary. Something clicked within her mind. The prey has now turned into the Predator. *Crying* Mommy, what's wrong with Grand-pa? *Scared* Stay away from me! A very respected, serious man who wants the best for his loved ones. This is unacceptable. We have laws for a reason! Forget it, I'll go save him myself. Even a snake can slither away.